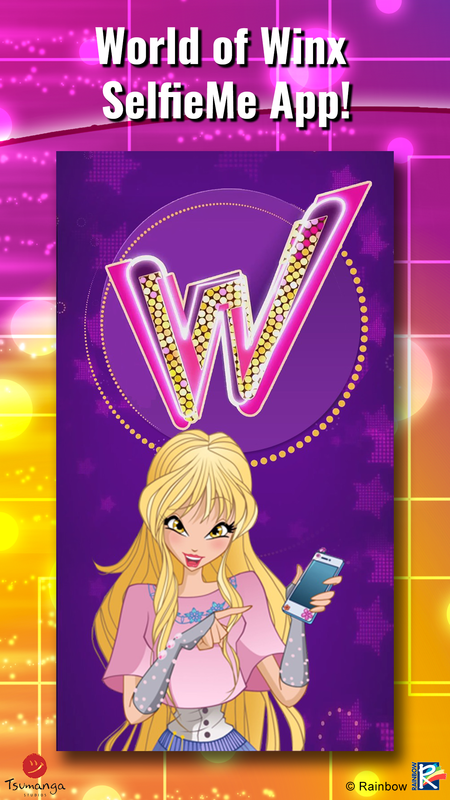 World of Winx Selfie Me APP! Take a selfie with Bloom, Flora, Stella, Aisha, Tecna and Musa! 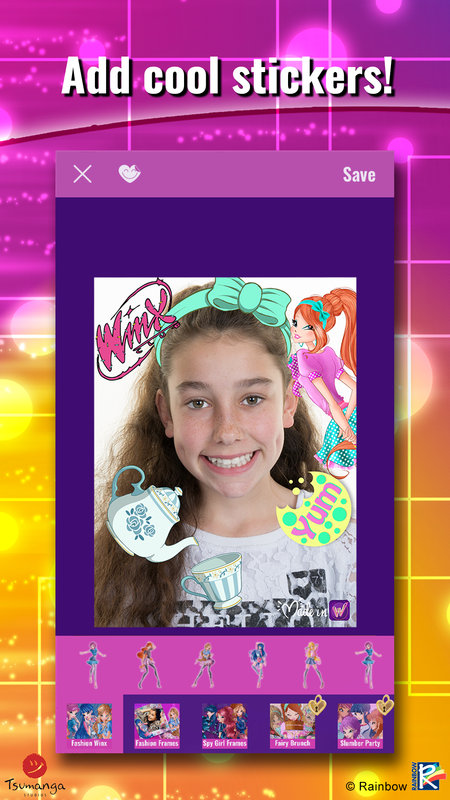 We are super excited to present the World of Winx Selfie Me APP, where you can take a selfie or a picture of your friends and get the amazing Winx Club look. It’s easy! 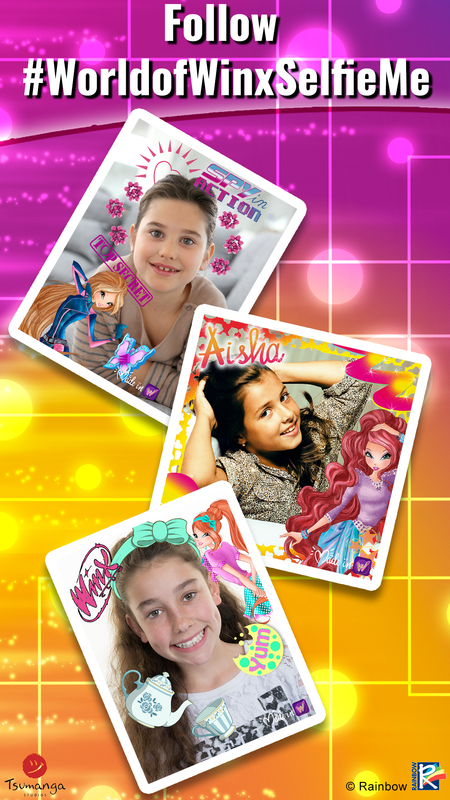 Take a picture or make a short video and add stickers, frames and the most Winx-tastic animated effects. You can even become a Spy (like in the TV show!) and get that Winx Onyrix transformation ON! Then you can share your creations with your friends and family! 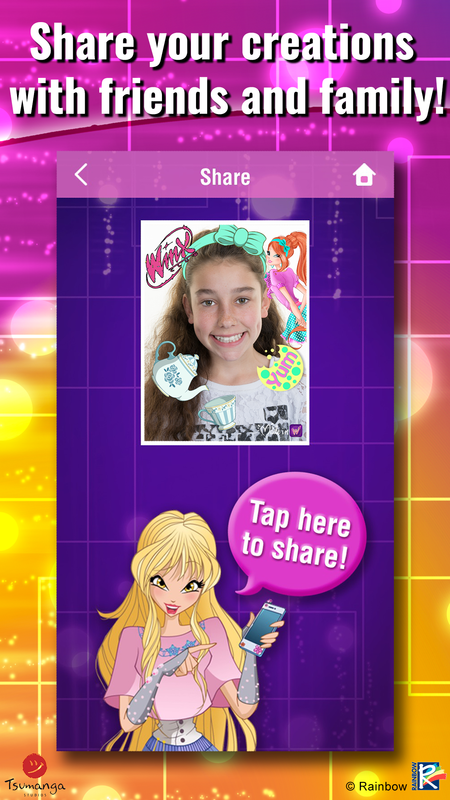 We are sure you'll love the World of Winx Selfie Me APP. Do you want the best Winx Club photos for Instagram or Snapchat? - Use World of Winx Selfie Me! Use the best Winx Club photos for Instagram or Snapchat! Lots of frames with your favorite faries! Share your creations with friends and family!